CLIFFORD M. DAVIDSON, Patent Attorney, received his B.S. in Pharmacy from Rutgers University College of Pharmacy in 1983 and his Juris Doctor degree from Rutgers University School of Law-Camden in 1986, where he received the American Jurisprudence Award for excellence in property Law. He is a member of the New York, New Jersey and Pennsylvania State Bars. He is a member of the New York Patent, Trademark & Copyright Law Association, and the New Jersey Patent Law Association. Mr. Davidson is also a Registered Pharmacist in New Jersey, and is a member of the American Pharmaceutical Association, and Controlled Release Society Pharmaceuticals. 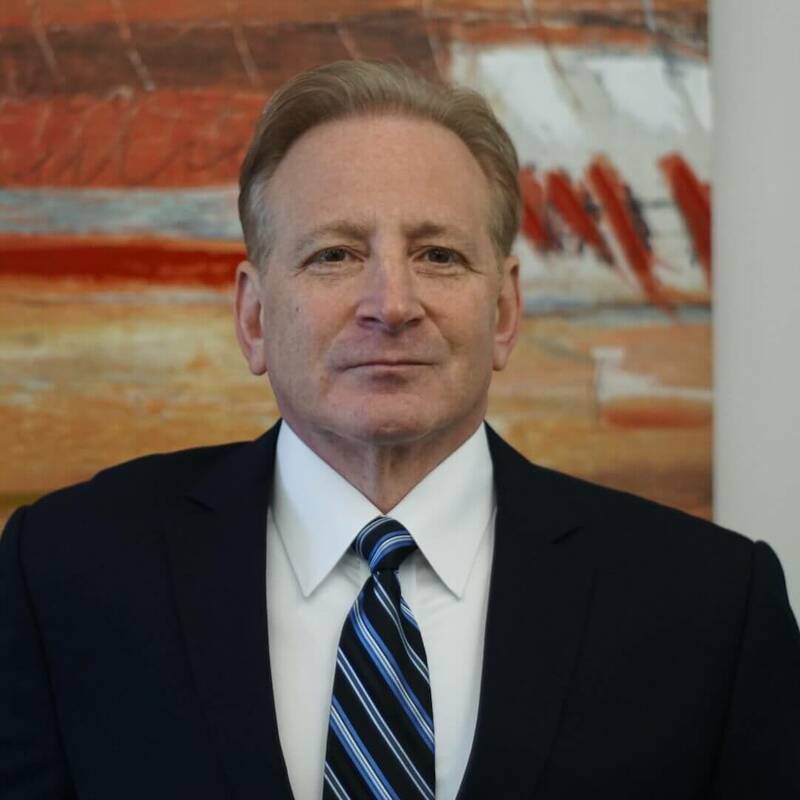 Prior to the creation of Davidson, Davidson & Kappel, LLC in 1998, Mr. Davidson was a name partner at Steinberg, Raskin & Davidson, P.C., and prior to that, Mr. Davidson was an attorney at Kenyon & Kenyon. Mr. Davidson has particular expertise in the area of pharmaceuticals, and has prepared and prosecuted numerous patent applications covering virtually all areas of drug development, including new chemical entities, new pharmaceutical formulations (immediate release, controlled release, and multiphasic release; oral dosage forms; injectables; implantables; inhalations, intranasal, sublingual, buccal, suppository and topical formulations; transdermal devices; and opthalmics), new combinations of previously known drugs; new modes of administration of previously known drugs; methods of treatment, pharmaceutical excipients, and methods of preparing pharmaceutical dosage forms. Mr. Davidson has also focused on methods of treatment and compositions directed to the pharmacokinetic profiles of drugs/drug formulations, pharmacologic activity of drugs/drug formulations. Mr. Davidson has a great deal of experience meeting with his clients' drug development, research, clinical, marketing, and business development departments, as well as in-house counsel, in order to elucidate patentable aspects of his clients' drug development programs and develop a useful strategy to maximize patent protection opportunities. In conjunction with the development of patent portfolios, Mr. Davidson advises his clients and assists them in developing strategies concerning offensive and defensive patent filings, obtaining adequate coverage for new developments and creating patent strategies/claims that cannot be readily designed around. Mr. Davidson also represents clients involved with the development of branded generic formulations and generic pharmaceutical formulations subject to Abbreviated New Drug Applications (ANDA) that must be filed with the United States Food & Drug Administration. Mr. Davidson's participation included evaluating proposed formulations with respect to Orange Book patent issues; evaluation of the additional patent landscape; paragraph IV submissions for ANDA filings. Mr. Davidson is also routinely involved in transactional work (due diligence) concerning patent portfolios, trade secrets and know-how. Mr. Davidson is often asked to evaluate patent portfolios for business acquisitions, initial public offerings, start-ups, and capitalizations. Such work often involves evaluations of a product(s) with respect to such patents that are involved in the transactional work and consideration of patentability issues, and infringement avoidance. In addition to his expertise in pharmaceuticals, Mr. Davidson has had a great deal of experience in the preparation and prosecution of patent applications in other technologies including mechanical (including food processing equipment, paper machinery, military equipment and automotive equipment); and food technology (including preparation of patent applications directed to a wide variety of diary-based products, juice-based products, dietary products, snack foods, and processes for preparing the same). Mr. Davidson has participated in the litigation of complex pharmaceutical and chemical patent situations. He also has expertise with respect to ex-parte and inter-partes proceedings before the United States Patent Office, including Appeals, Reexamination, Reissue Proceedings, and Interference Proceedings. Mr. Davidson has significant experience in the prosecution of patent applications throughout the world, and has actively participated in Opposition proceedings and Appeals before the European Patent Office, the Australian Patent Office, and the Japanese Patent Office. Mr. Davidson has been awarded an AV® rating from Martindale-Hubbell, confirming Mr. Davidson's status as a highly respected, ethical member of the Bar, with his legal abilities being rated very high to preeminent. Mr. Davidson has been a featured speaker at American Conference Institute Seminars concerning pharmaceutical patent life cycle management; product development and commercialization; and the effect of Hatch-Waxman reforms on the patent endgame. He has written an article on patent issues for BusinessWeek, and regularly contributes articles concerning patent law to a pharmaceutical industry magazine, Drug Delivery Technology®.